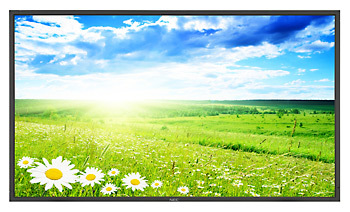 The NEC X461HB is a Professional LCD display that features a 46 inch screen with a maximum brightness of 1500 cd/m2 and contrast ratio of 3500:1. In addition, the nec x461hb professional lcd display comes with over 30 advanced features of digital signage technology. Net (with stand) 41.6" x 25.4" x 13.8"
Net (without stand) 41.6" x 24" x 5.5"